Who among you still uses face primers? Me, I haven't for such a long time because every since I turned into a "mom", you can see how I always go for "no makeup" look on a daily basis. Just check out my FOTDs on Instagram (@AskMeWhats). I only get to play some colors with lipsticks because with a toddler who always press his dear face on mine? I prefer to go naked skin at most times! BUT, on times the little one is not hanging out with me as I'm going to an event or special party, that's the time I whip out my "brightening" base because my skin is "blah" and just..."blah!" I still stand by on my favorite Benefit That Gal as my ultimate "blooming" base and the scent? *sigh* Nakaka-good vibes! 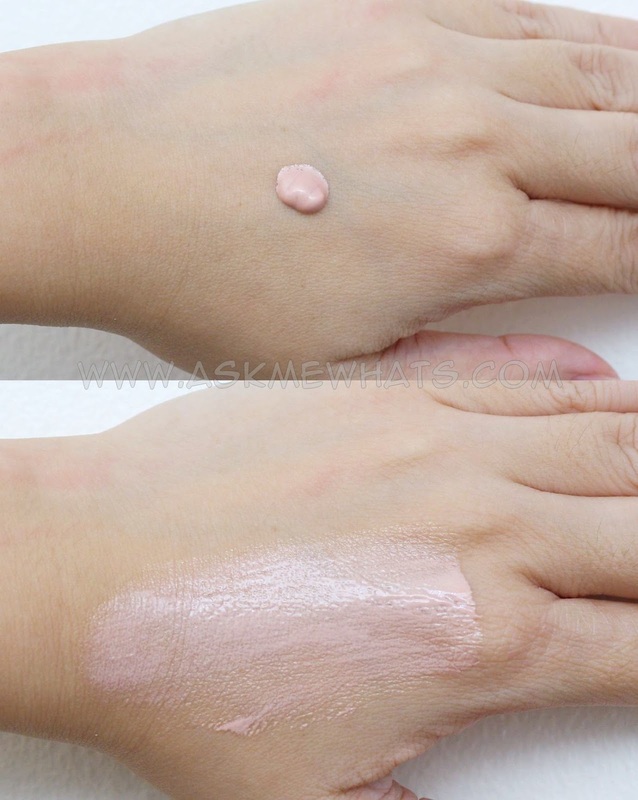 All thanks to Glamourbox I was able to try Pixi By Petra Flawless Beauty Primer and guess what? Well...I'm not spilling any beans yet...read on my review and I'll share how I feel about the product! Hydrates even my super dry skin. Skin looks healthy and glowing! I can get away without foundation application and my skin looks healthy. This product wasn't tested on animals! Yay! Oily-skinned users may find the effect a bit "greasy" on them. Tried this underneath a foundation and I don't see the "prolong" wear. Even with dry skin, I still prefer to set this with my favorite powder, I don't like my skin to look from dry to oily! Concealer is still needed for extreme redness. If you have combination skin, apply this primer only on areas of your face that you need "glow". Less is more, you don't need a lot of product to see the effect. I tried using a foundation brush and fingers in application, I prefer the latter. Users who have dry skin. Priced at Php1,550.00 (approx $35.20). Pixi is currently available in the Philippines at the ff. outlets: www.glamourbox.ph, www.ava.ph, www.seektheuniq.com, Purebeauty Serendra, Trinoma, Alabang Town Center and Glorietta (formerly Beauty Cocktails), Commonthread Rockwell and Greenbelt 5, PlanaFORMA Fort and Quezon City, and select Snoe stores. To order, log on to www.glamourbox.ph. Housed in glass making the product worth the price. Okay, for those who were born on the 70's and 80's, doesn't the shade remind you of Caladryl? It has a pinky-peach shade but blends into your skin after constant rubbing. As seen on photo below, it has a sheen finish making my skin looks well-hydrated. For the whole face, I use this much. Actually I pumped a bit too much! 1.5 pumps are enough! Obviously, this isn't a foundation or concealer so I do not expect this to give me coverage BUT, because of the "sheen" and glow, my skin looks more even and healthy. For better view, I did a half face test. 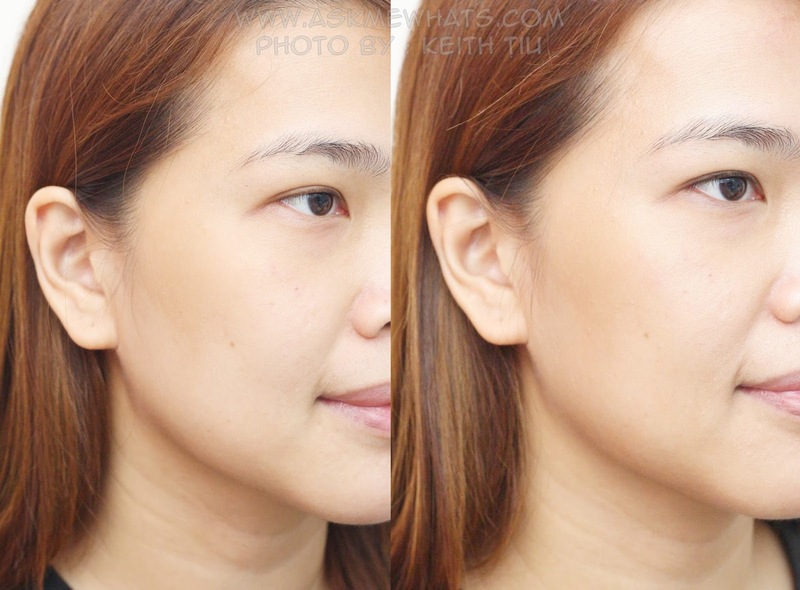 Left facing you applied with Pixi by Petra Flawless Beauty Primer while right facing you is my tadah...bare face! Even with dry skin, my skin looked a bit oily right?